Understanding Peripheral Neuropathy If you have diabetes, you need to understand how it affects your feet. 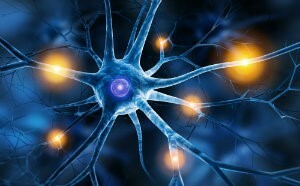 Learn about peripheral neuropathy here. We have come a long way since 1752, when Ben Franklin conducted his experiment with a kite, a key, and a storm. We’re even far away from 1878, when Thomas Edison invented the incandescent filament light bulb. These men understood electricity and how something very important could communicate through a wire. There are endless signals going back and forth in your body during every second of the day. When one of these pathways becomes damaged, the result can be life changing. Peripheral neuropathy is a nerve condition in which important pathways become damaged. When it occurs in the lower extremity, it can truly change a person’s mobility and quality of life. At the root of this condition is nerve damage. There are a number of reasons this can happen and diabetes is one of the most common conditions associated with neuropathy. Nerves can become impacted when glucose levels are not maintained and remain high for long periods of time. With diabetes, the damage is often concentrated in the legs and feet. In addition, certain medications, vitamin deficiencies, autoimmune diseases, kidney and liver problems, exposure to toxins, and infections such as Lyme disease can also contribute to nerve damage. A traumatic injury in sports or an accident of some sort can also lead to this condition. The risk for neuropathy increases if there is a presence of alcohol abuse. There are several different types of neuropathy—you may experience a direct impact on your ability to control muscle movement or on your ability to feel heat, cold, and pain. In some situations, damaged nerves can affect your heartbeat, bladder function, and blood pressure. In each case, however, the same root problem is present: The nerves have lost their ability to send messages back to the brain and spinal cord. In the lower extremity, this can result in tingling, burning, weakness, numbness, or sensitivity to touch. Peripheral neuropathy is unfortunately, one condition among many for which there is no known cure. 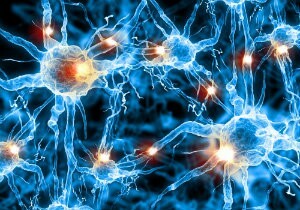 Once the nerves have become damaged, they have a limited capacity to regenerate. The goal of treatment then becomes more about managing current symptoms and preventing the problem from getting worse. Treatments are designed to slow down the progression and get the problem under control. This begins with getting to the root cause. If a vitamin deficiency is to blame, then we can help improve your diet and use vitamin therapy to stop the damage from progressing. For those with diabetes, keeping neuropathy under control goes hand in hand with maintain healthy glucose levels. It is also helpful to exercise regularly, monitor your blood pressure, and maintain a proper diet. There are several treatment options we can provide to relieve any pain you may have as a result of this condition. Pain relievers, capsaicin cream, a lidocaine patch, antidepressants, and electrical nerve stimulation are a few of the methods that we may use. At home, you can start with taking diligent care of your feet, especially if you have diabetes and already have symptoms of neuropathy. Early diagnosis and treatment of this condition is extremely important to protect your long-term foot health and lessen your risk of serious injury. At the first sign of any of symptoms of neuropathy, contact Richardson Podiatry Associates and make an appointment with Dr. Gene Reister—an expert in helping patients with peripheral neuropathy. Call our office in Richardson, TX, today at (972) 690-5374.